No longer maintained, I have stopped developing for Minecraft. Please let me know if you would like to take over this project. 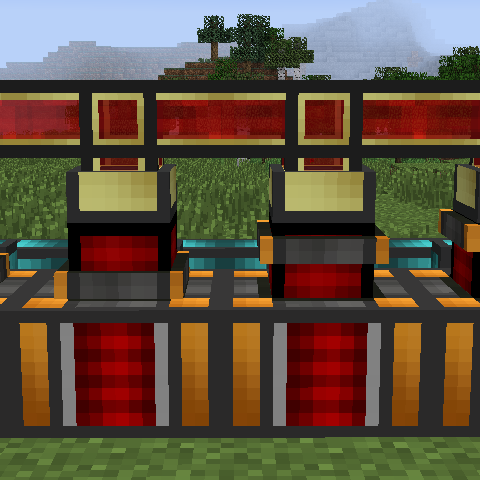 This mod adds animated "piston arms" to Thermal Expansion dynamos, similar to BuildCraft engines. It uses a smooth animation, a lot like the old RedPower2 Blulectric engines. It uses no reflection, ASM, or other trickery. Thermal Expansion doesn't register a special renderer of it's own, so this mod just adds one. This mod is optional on the server-side, but if it is only installed on the client, you will have to open a dynamo's GUI for its animation speed to update. If you install the mod on the server-side as well, the RF/t will be automatically synced to keep the animation speed up-to-date. Yes, you can use this in modpacks. The MIT license grants unlimited redistribution. Is it optional on the client side as well? Like I can put it on the server and my friends don't have to get it to connect? No, but there's no technical reason it couldn't be. Necrobump but this is a great little mod. Dynamos so boring without it. Any chance of later version? Oh yeah, Thermal Expansion is available for newer versions. Duh. Maybe you could do something more early-TE. Like turning the dynamos into engines and calling them that too.